When I started using a Hulda Clark Zapper in 1996, I did so because I was curious. My father had given me a copy of Hulda Clark’s book, The Cure For All Diseases, and asked me to build him a zapper. The Radio Shack parts came in bundles, so I had enough parts to build three zappers. One for my dad, one for me, and I gave one to my grandparents. I used the zapper daily for several weeks, then once or twice a week as suggested in Dr. Clark’s book. I used the zapper any time I was exposed to a sick person, or felt down, myself. I quickly became a believer, using the zapper religiously for several years, turning many friends, family members, and co-workers onto the device. I made a zapper for anyone that would supply me with the parts to do so. Each one told me I should start a zapper business, and eventually I did found Natural Health Supply in 2001. After 5 years of first hand zapper experience I was excited to make a living sharing my little secret of the universe with others. Here I am writing this blog entry more than twenty years later. Now get this: I believe that I have practically stopped aging since I began zapping twenty plus years ago. I know lifestyle is a big part of it, too. I eat organic, don’t smoke, or take any prescription drugs. Beyond that however, I really think the zapper has helped me stay young and strong. If the zapper really does all that Dr. Hulda Clark writes about in her books, the device simply kills any common germ the electricity can reach. This releases the body from having to battle each and every daily germ, so your body stays a bit younger by being less burdened. If your immune system has less to do, it’s easier to stay healthy and spry. So the zapper is a “cure all” device, because in essence it simply takes unnecessary work away from your immune system so that your immune system can focus on getting rid of major illness, or disease. What’s super cool is that there are no side effects or drug interactions. Zapping is electrical. A zapper emits a radio frequency and the user holds two copper handles. The zapper current will travel to many parts of the body, mostly through the blood and lymph system because it is most conductive. The theory is that the zapper’s positive offset square wave frequency is enough to zap those little critters to death, and we cannot even feel it. No shock, no jolt. 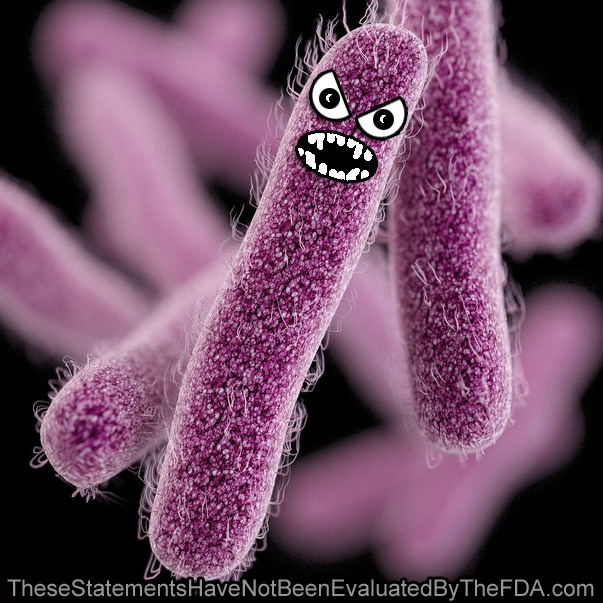 You feel nothing, that is, unless you’re a germ. By cleaning house in this manner on a routine basis, I believe I have kept my body the temple it deserves to be. Zapping was an unexpected discovery made by the scientist Nikola Tesla. While at work perfecting the early days of radio transmission he wrote that he had noticed painful cuts, scratches, and wounds with slight infections would clear up around certain frequencies. Tesla shared his discovery with contemporary Georges Lakhovsky, who used Tesla coils to make the cancer fighting device, the Multiple Wave Oscillator. Royal Raymond Rife added to the science by researching the exact frequencies each pathogen was killed by, charting the mortal oscillatory rate for disease causing germs. Some really smart people have spent their life working on electronic wellness devices, and I’m convinced from using them that they really do work wonders! So yeah, the zapper is a public domain device with over 100 years of history. It’s not approved by the FDA because public domain items cannot be patented, so patent medicine will not run a six hundred million dollar, ten year double blind study, any time soon. In Canada and Switzerland the zapper is sold over the counter without a prescription for post operative infection. Exactly as Tesla described it back in the 1800′s. In the United States the zapper falls under folk medicine but some universities have began conducting studies that shed positive light on using a zapper. You can only know if zapping works by using one yourself. Looking for that magic silver bullet to give you that added edge in life? Buy a zapper, or if you’re handy, build your own zapper. Experiment with it at home, and tell others about what you find out. 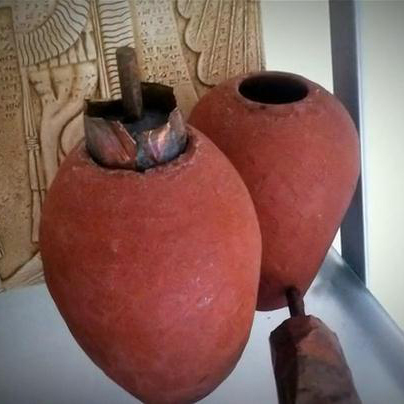 When watching the episode of Myth Busters about the Baghdad Battery and the Ark Of The Covenant, I was interested in hearing more about the ancient battery inside. The DC voltage from the battery is connected to the gold wings of the cherubim on top of the box so people could hold the conductive gold handles and feel the tingle. It is not known what the ancient batteries powered, so it may have been that simply feeling the tingle was magical, and perhaps even found to be medicinal. Dr. Hulda Clark’s Zapper is also powered by a DC battery pulsing at a frequency in order to bypass the body’s resistance. Once the voltage is pulsed, anywhere from 10-500,000 Hertz (pulses per second) the body’s resistance, or skin effect, is no longer an issue, and the voltage can penetrate the body. Since Dr. Clark wrote that the Zapper works from 5 volts to 12 volts DC, could the Ark Of The Covenant be some sort of early Zapper? Hulda Clark wrote in her books that Zappers kill bacteria and viruses, so ancient 5 volt batteries may have been used to do the same thing since they are in the range. When one imagines the stressful conditions of the wandering tribes of Israel, having a simple way to kill germs would be very beneficial, if that is what the Ark was used for. Other scientists have experimented with recreating the Ark and have received interesting electrical results. Sadly, the Myth Buster episode was called short due to a prank of hooking the device up to a one hundred thousand volt cattle prod harming Adam Savage, so the science of the episode was thrown out the window and got the pranking producer fired. I always wished they would revisit the myth in order to complete what they had started because it is an important and interesting part of our history. Because the Ark Of The Covenant is an important religious artifact, there are people that do not like studies being done on it. Whenever science attempts to define the holy and the divine some people are offended. I have noticed there seems to be a lot of sabotage on projects that try to recreate the device from the instructions found in the Bible. The Myth Buster episode was derailed, and John Hutchison’s documentary for the Discovery Channel was cancelled with the replica of the Ark being mysteriously destroyed by the carpenter who build it with no explanation as to why. Other interesting footnotes are that when the U.S. went into Iraq, the Baghdad Batteries were seized from the Baghdad Museum along with the clay tablets containing their information. Researching this history becomes more and more difficult since war makes archaeology nearly impossible. It seems that conducting research on the Ark Of The Covenant is polarizing in more ways than one.